How to get through a family Christmas without tears. 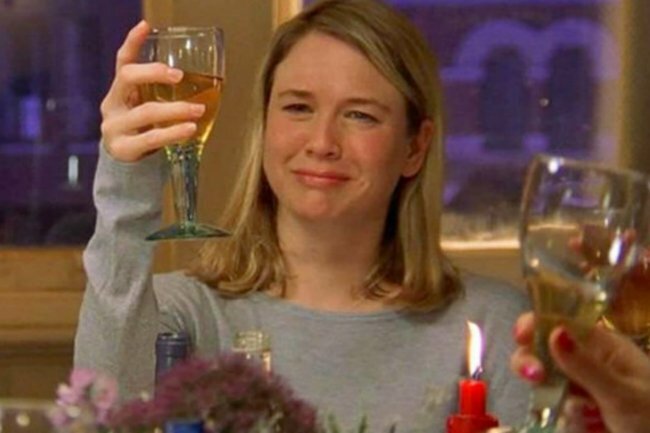 A step-by-step guide for surviving that awkward extended family lunch on Christmas Day. While literally every Hallmark movie will tell you that a family Christmas is filled with joy, laughter, and the sharing of happy memories, for most people it just isn’t… true. Families are complex, and the bigger one’s family gets, the messier things become. Is it likely you’ll have anything in common with your third cousin twice removed? NOPE. Or perhaps your vegan cousin Susan is having a go at racist Uncle Steve again. And perhaps he deserves it. Fights and eye roll moments are inevitable, but there are many ways you can keep yourself well and truly away from the dram-ah, and achieve your perfect Hallmark Christmas. 1. Offer to help wash up. It’s a trick as old as time, and while it may feel a little bit ~patriarchal~ to, as a woman, spend the entire day cleaning up, it will be worth it because as you scrub on that Tupperware container Susan and Steve will be far away, fighting without your input. Big win. If you’ve ever read a Jane Austen novel you’ll be familiar with the old “I’m uncomfortable with the current situation” faint. It’s best used when the family drama becomes way too much, and allows you at least a 30 to 40 minute lie down in your (or a relative’s) room alone on your phone. It might be more convenient to cry “food poisoning” than a random spurt of faintness, but read the room and make the call on the day. Everyone has that one person at Christmas who is on your wavelength. Get them onside early and escape for yarns regularly throughout the day. It’s essential for survival. 4. Select your seat at the table carefully. Upon arriving at Christmas, scout out the best seat possible. You want to be seated beside your person, away from the racists, and close to a fire door in the case of an emergency. Also maybe shake a few bon bons and try and get the best one. 5. Play with the kids. Nothing quite gets adults off your case like playing with their tiny children. You get in the good books by being ~so~ good with kids, and you also don’t have to talk to your racist uncle. 6. If you’re single, have an imaginary partner prepared. Your older relatives might be tempted to scold you about being single, but we have a solution. MAKE ONE UP! The older the relative, the less likely they will be able to social media stalk you and become suspicious. 7. Change careers so you have to work on Christmas Day. 8. Start a fight with the host and strategically get kicked out. If all else fails, start a fight and ensure you’re never invited again. In the wise words of P!nk, “I’m gonna start a fight”.